1. 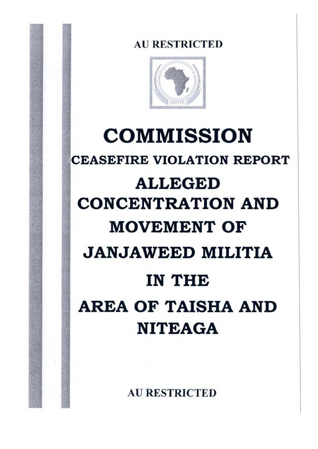 SLA\JEM lodged a complaint on the 03 Nov 04 alleging that Janjaweed militia had gathered in the area of Taisha and Nitega with the intention of launching attacks on the rebel held areas of Labado and Muhageria They also alleged that the Janjaweed militia had attacked the villages of Oum and Ehcta. burning them down and killing a number of civilians. 2. Team C was tasked to investigate the allegations. 3. The team established that on the 02 Nov 04, the Taisha police received a complaint regarding the stealing of about 600 cattle of the Chief of the Sigei Village. 4. On the 03 Nov 04, the JanJaweed mili~a mainly from the Rizegat and Miseriya Arab tribes of Ta isha, Mirrel and Niteaga, assembled around Taisha and organized themselves to trace the stolen livestock. The rebel forces allegedly ambushed them near the village of labado on the same day, killing about 15 of the Arab nomads, injuring many as well as killing a number of their animals. 5. 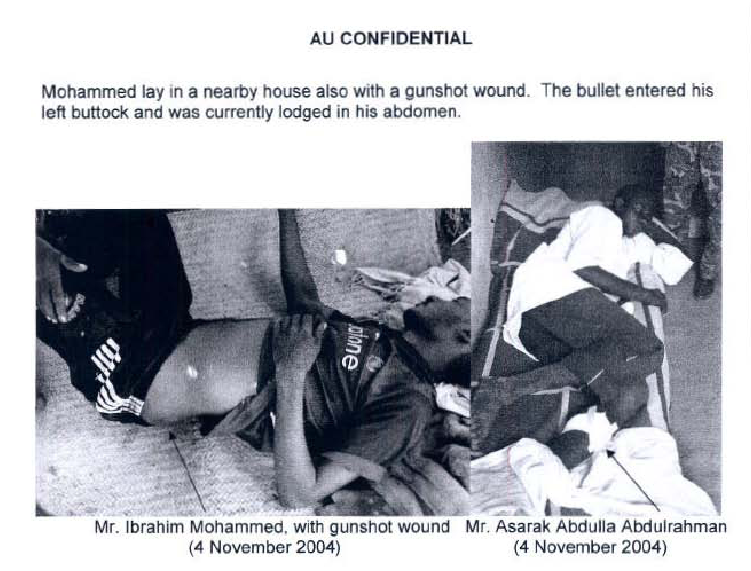 After the fighting with the rebel forces on the 03 Nov 04, they allegedly decided to disperse to return to their areas in Taisha, Mlrrel and Niteaga. 6. After an alleged stealing of 600 caWe belonging to the Chief of the Sigei village on the 02 Nov 04, armed Arab nomads took to the area around Taisha to trace the stolen livestock On the 03 Nov 04 they were ambushed by alleged rebel forces near the village of labado. About 15 of the nomads were killed, whilst many others were injured. The nomads then decided to disperse back to their villages of Taisha, Mirre\ and Niteaga. a. The GoS should disarm the Arab militia as they have a dangerous tendency of flouting the rule of law in preference for their own justice. b. The GoS should provide adequate security for her citizens.